1 egg per person (Super Fresh)! 1. In a large bowl, whisk together the flour, salt and egg with 300ml of water to form a smooth batter. Make sure there are no lumps of flour, and leave to sit for at least 10 minutes. 2. Heat a little oil in a heavy based frying pan and add a ladle full of batter to cover the base of the pan. You need the pan fairly hot so that it doesn’t take for ever to cook! Cook for a couple of minutes on each side until turning golden but not overly crisp. Once cooked remove from the pan, add a little more oil and repeat the process until you have used up all the batter! 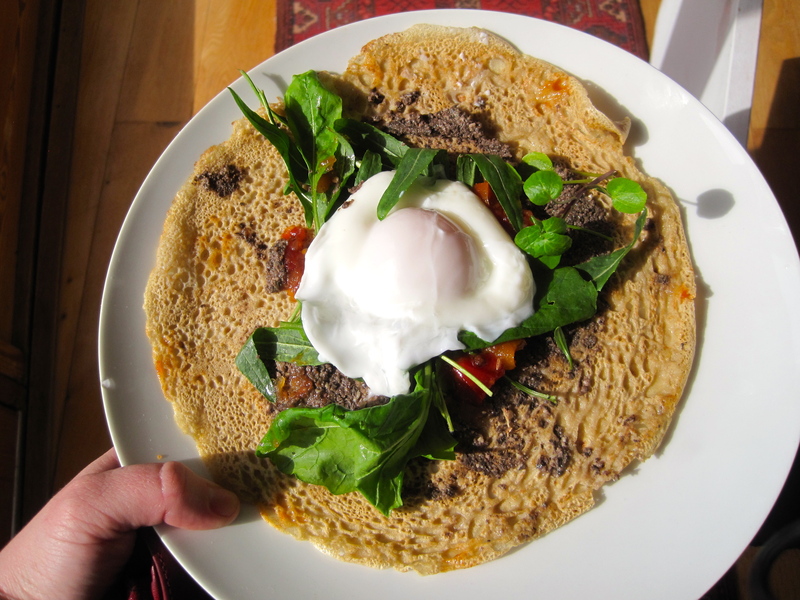 3. spread the galettes with tapanade, some blobs of chutney and rocket leaves, and now make the poached eggs. 4. Crack the eggs into small individual bowls, ready to slide into the pan. Boil a large wide pan of water, remove from the heat and immediately add the eggs into their own section of the pan – against the side helps them stay intact. Cover with a lid and leave for 2 to 3 minutes. 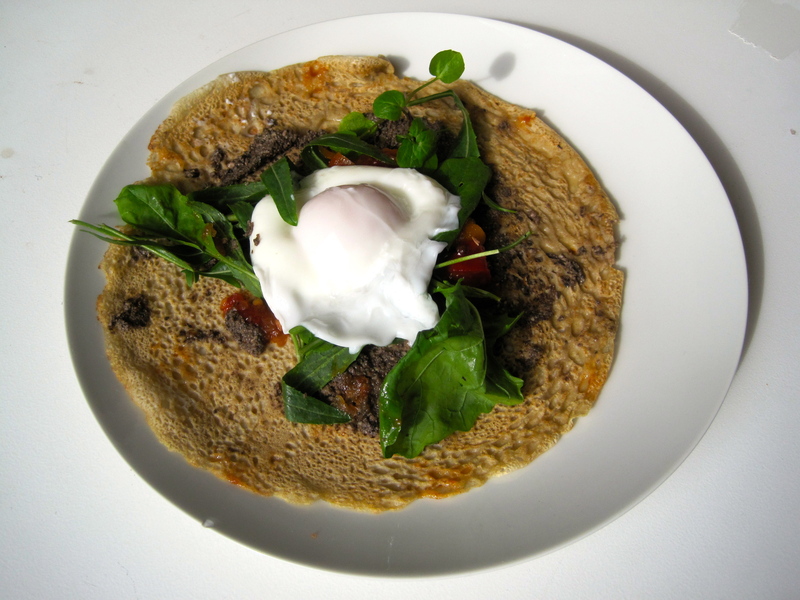 Remove from the pan with a slotted spoon and put on top of your galette – voilà!